It's the season of idols taking up screen space, be it the silver screen or the domestic small screens. 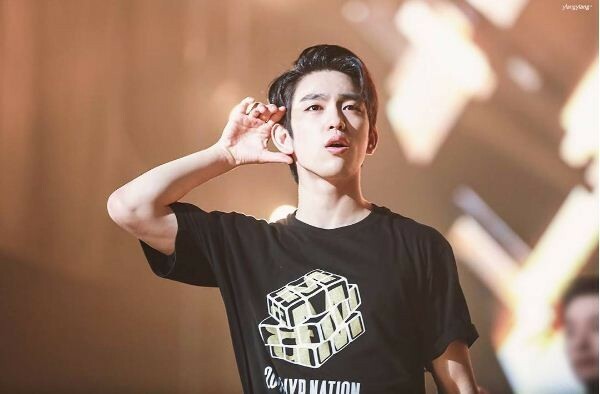 Jinyoung of GOT7 is the latest to join the bandwagon with a new series for tvN. On December 6, tvN confirmed that Jinyoung would play the lead role of Yi Ahn in their upcoming drama "That Psychometric Guy". According to the channel, the character of Yi Ahn is that of a young man possessing supernatural powers with the added ability to learn the deepest secrets of anyone he comes in contact with, their most powerful memories flashing before him. Although the main character has stunning good looks and psychic abilities, he is said to be a charmingly clumsy and rough guy. The producer of the drama stated that "The new drama series is a romantic comedy disguised as thriller". It is expected to tell the romantic story of Yi Ahn and Yoon Jae In, a strong character who takes great effort to hide her painful past. The story is said to bring the two together after a series of incidents that blossoms into love. On casting GOT7 idol on the drama, the producer said "Jinyoung's youthful, innocent and boyish vibe matched perfectly with the character of Yi Ahn. On top of that, his sincerity and meticulousness will flesh out the character of Yi Ahn and make him three-dimensional while also adding to his charm". The team hopes to present a drama "both refreshing and warm entertainment" to viewers. GOT7's Jinyoung has previously appeared in KBS drama "Dream High 2", "My Love Eun Dong" and "The Legend of the Blue Sea". Jinyoung has also appeared in the 2017 film "A Stray Goat". "That Psychometric Guy" is slated to premiere early in 2019.